WASHINGTON (AP) - The White House says there is a "bit of reality on the ground" about how the U.S. should approach the Syria conflict. 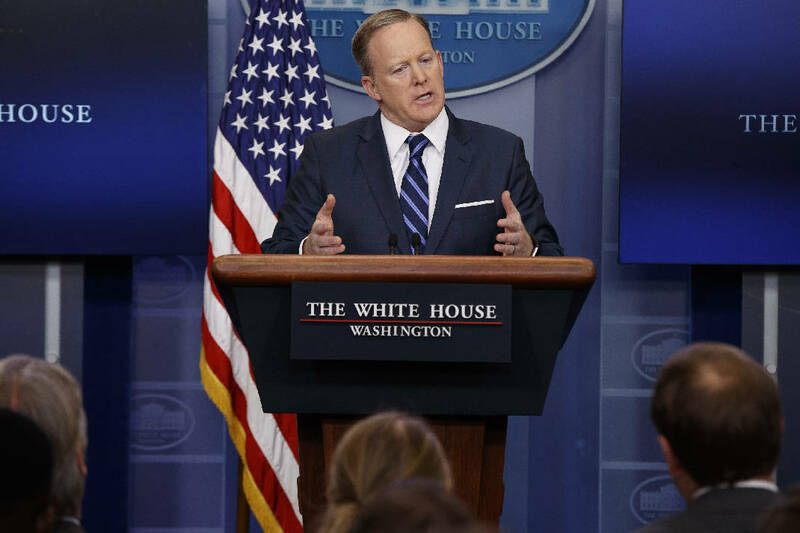 Spokesman Sean Spicer said Friday the White House believes there is a "need to de-escalate violence and have a political process where Syrians will decide their own future." But says the "opportunity and options" available to the Trump administration in addressing the Syrian civil war are different than those that were available to the Obama administration. He didn't elaborate. Spicer would not comment on whether Syrian President Bashar Assad should step down, saying it is a decision for the Syrian people alone. In London Friday, Defense Secretary Jim Mattis suggested that Assad's status is not the most important question for the time being.